Dr. Thompson has resided in North Carolina since 1985. After graduating from NCSU, he completed medical school and orthopedic residency training at UNC followed by a hand and microvascular surgical fellowship at Duke University. 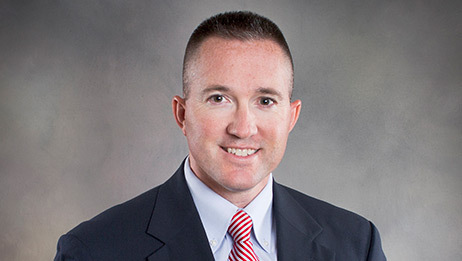 Following the completion of his training, he served as Assistant Professor of Orthopaedic Surgery for six years combined, practicing at Duke University and UNC where he gained extensive additional experience treating a variety of patients whose problems ranged from simple to very complex, including digital and limb replantation. As a part of his responsibilities in this setting, he was also consulted regarding the care of student-athletes with upper extremity injuries. Dr. Thompson retired from the US Naval Reserve in 2008, following 21 years of service. Approximately half of his military career was spent outside of medicine in the U.S. Army Reserve and Army National Guard as first a medic and then an infantry officer. In 2005, he was recalled to active duty in support of Operation Enduring Freedom, where he served at Naval Hospital Camp Lejeune providing care to combat-wounded Marines who were deployed from Camp Lejeune. In 2008, he and his family relocated to High Point, NC where he practiced hand and orthopedic surgery for another 6 years before joining Guilford Orthopaedic and Sports Medicine Center in 2013. Dr. Thompson and his wife Jennifer have four daughters and one son who range in age from 15 to 2. Their oldest daughter is attending High Point Christian Academy, and the others are being home-schooled. View Dr. David Thompson patient reviews from Google.